Christmas is near, and these Mickey Mouse Tree Ornaments are a super cute gift for the ultimate Minnie, or Mickey Mouse fan! With just a few simple craft items, a little glue, and some cute ribbon, you can whip up a bunch of these for family and friends. With the onset of the holiday season, I’m always looking for fun crafts for my kids to do for their friends – our homeschool co-op group, their church youth group and even for their cousins. Find everything you need to put these together at your local 99 Only or Dollar Tree. While you are there, you might even find even more supplies to stock up on for the holiday season, too. The craft, while easy, does require hot glue — while the activity might be wonderful for your older kids, make sure you keep an eye on little ones around a hot glue gun. Sometimes even adults can burn a finger (ask me how I know…) – not just once but several times over. Oye! 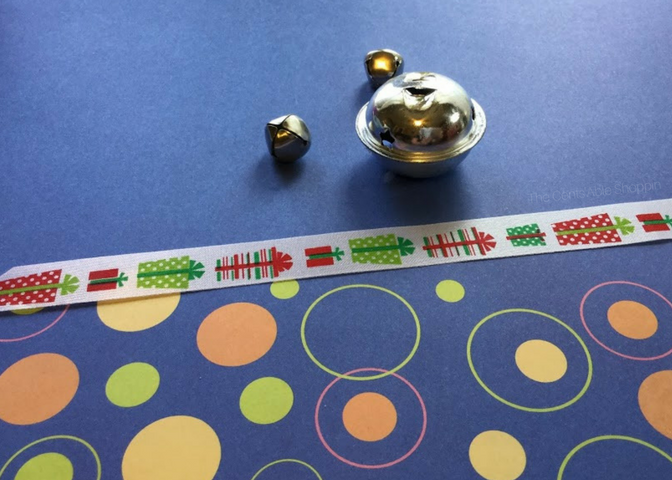 Cut a 6 inch section of ribbon and thread it through the opening of the 2 inch jingle bell. Tie the ends in a double knot. 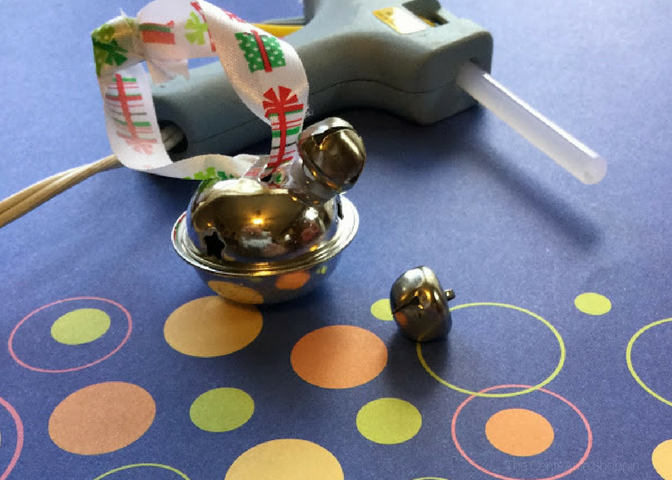 Attach one 15 mm jingle bell onto the top side of the 2 inch bell with hot glue. Attach the other 15 mm bell onto the other side. If you are pleased with the placement of the ears, reinforce them with super glue. If you feel they could be adjusted, the hot glue and bell will pop off with minimal effort. 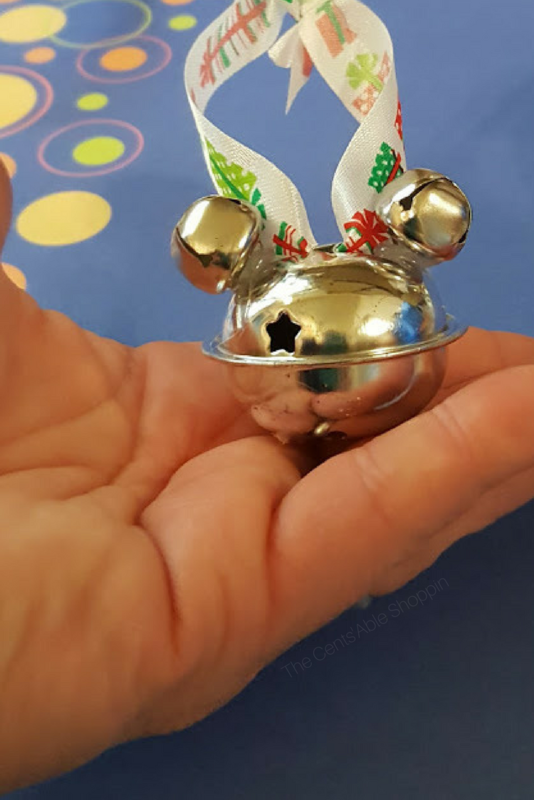 Adding super glue is a good idea to keep the bells secure and safe for pets and children and to preserve them for years to come. Allow to dry before hanging! The great thing about these DIY Mickey Ornaments is that you can make a dozen of them for under $4. 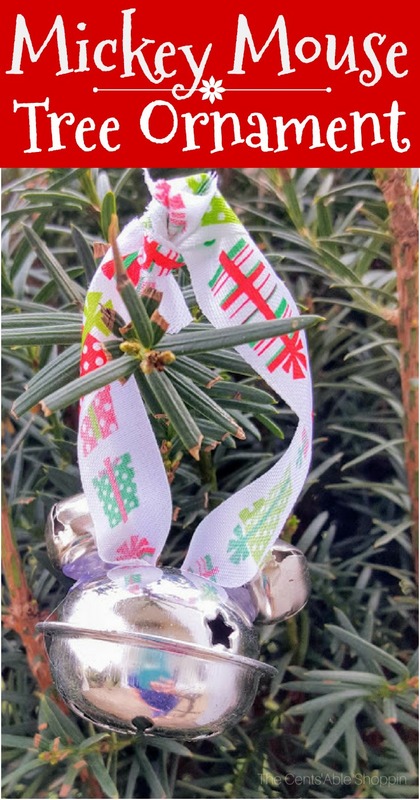 They are great for decorating your own tree or for gifting!